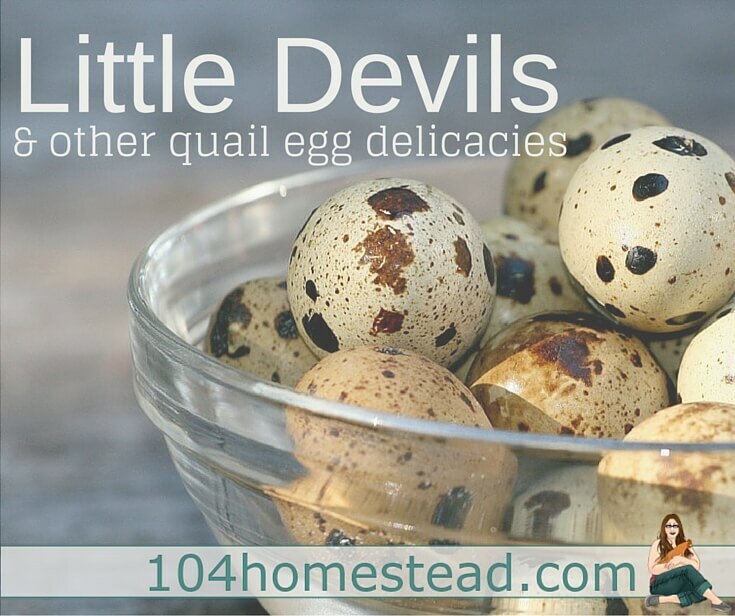 A friend of mine had asked if it was possible to make deviled quail eggs. 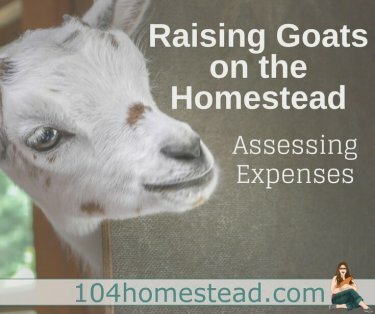 I had honestly never considered it. It seemed like an awful lot of work for such a tiny hors d’oeuvre. I joked that you would need a pretty tiny spoon to clean them out, but she was not put off by the idea. She thought it would be insanely cute, so I set her up with a couple dozen to try out. Being a wonderful friend, she documented the process for me to share with you. I have to say, it went infinitely better than I thought it would. In a saucepan, boil water and 1/2 c. plain white vinegar. Once the water is boiling, carefully add 24 quail eggs using a slotted spoon. Time for 3 minutes. Using your slotted spoon, remove eggs and add to a bowl of ice water to cool them completely. Roll the cooled eggs gently on your counter top to crack them all over. Peel, rinse, and dry on towels. Now, cut each egg in half and pop out yolks into a small bowl. Place whites on a plate or serving platter. Combine 1/4 c. mayo, 1 tsp. yellow mustard, and 1 tsp. vinegar (white or apple cider) with the yolks. You may also wish to salt and pepper to taste. Mix and mash the yoke mix with a fork until creamy. Scoop yolk mixture into a plastic bag and cut a small piece of the bag’s corner off. If you have a pastry bag on hand, you may find it easier to use than the plastic bag. Pipe yolk filling into each white. Sprinkle lightly with paprika. Za’atar Herb-Rolled Quail’s Eggs from Laura Calder. For those who are unfamiliar, za’atar is a Mediterranean spice mix. You can make your own by combining fresh chopped oregano, sumac, ground cumin, and sesame seeds (1 tbsp. each) with kosher salt and ground black pepper (1 tsp. each). Sesame Quail Eggs are both sweet and savory and they look beautiful as well. Mini Scotch Quail Eggs are the best of breakfast rolled into one and they are portable too. Imagine that! A fancy breakfast on the go. People will think you’re so vogue. Are you a mushroom fan? These Mushroom Mini Pizzas with Quail Eggs from Robert Irvine are sure to delight. Wrap them in pasta dough or wonton wraps and gently poach. Fry them sunny side up to top seared jumbo scallops. It takes 4-5 Coturnix quail eggs to equal the average chicken egg. Even more if you are using tinier eggs like Button quail. That’s a lot of egg cracking. But good news! They sell fancy scissors just for these tiny eggs. I have a set and they save a lot of time in the kitchen, especially if you’re making an omlet. They have a richer flavor than chicken eggs due to the higher yoke to white ratio. Quail eggs also have 2% more protein than chicken eggs in a smaller portion. They also contain high levels of vitamins A and B2. Are you allergic to chicken eggs? Duck eggs might be a good egg for you. Are you allergic to both chicken and duck eggs? Quail eggs might be your saving grace. 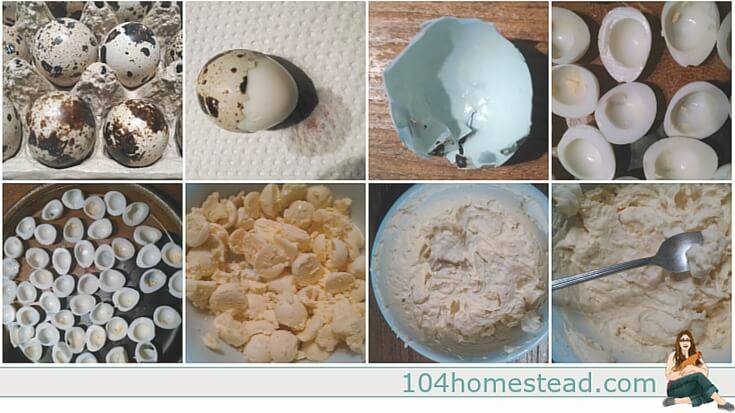 The proteins in quail eggs are easier to digest than any other farmyard egg. Quail eggs are higher in cholesterol than chicken eggs. In fact, one quail egg contains almost as much cholesterol as one medium-sized chicken egg. Moderation is key. 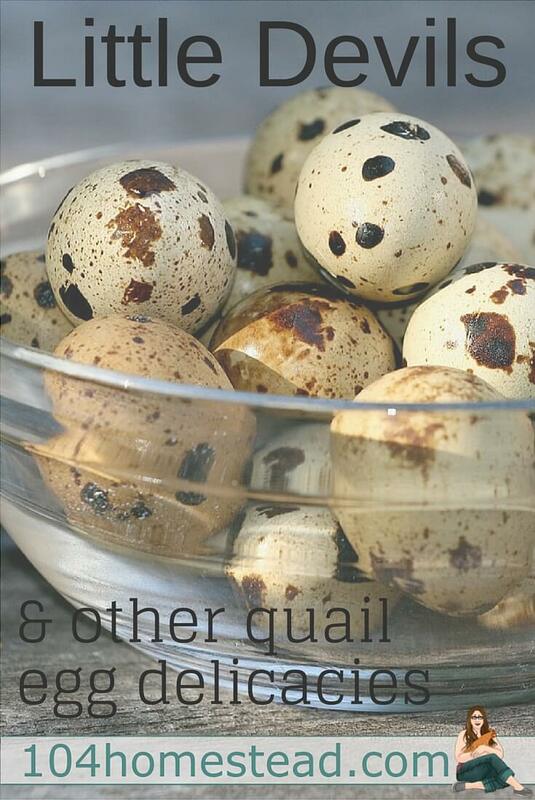 I have never eaten quail eggs, but they look delicious! Thanks for sharing with SYC.